Scientists are breeding hornless cows which are unable to gore farmers or threaten dog walkers. 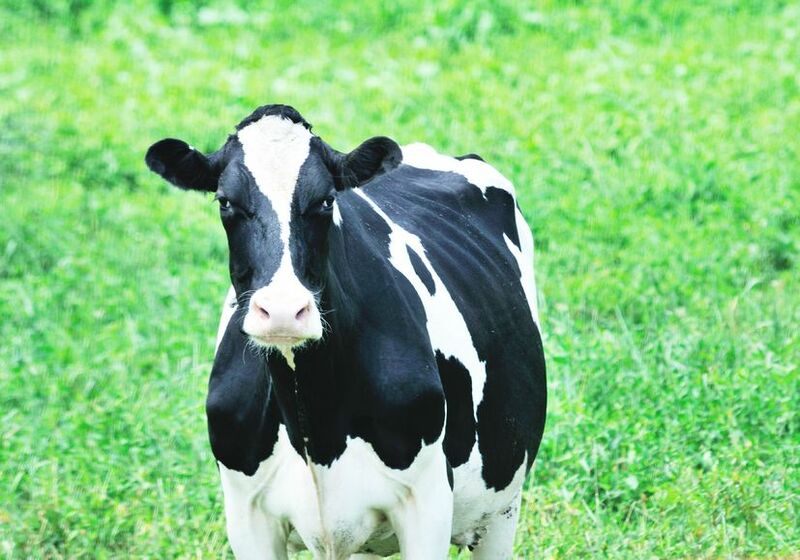 Animal geneticist Dr Alison Van Eenennaam, of the University of California, discovered it is possible to splice the "hornless" gene from Aberdeen Angus cattle into the widespread black-and-white Holstein dairy cows so that they are born without protrusions. Horned cattle cause significant risks for handlers, other stock, or members of the public. Only a few breeds, such as the Hereford and Angus do not have horns. Most dairy cows go through a painful "dehorning" process when they are calves, which would be redundant. Hornless cows would also be easier to pack into pens and trucks, potentially saving the industry millions of pounds a year. They will not be arriving soon, however, as regulators have not agreed that genetically engineered animals be allowed in the food chain.